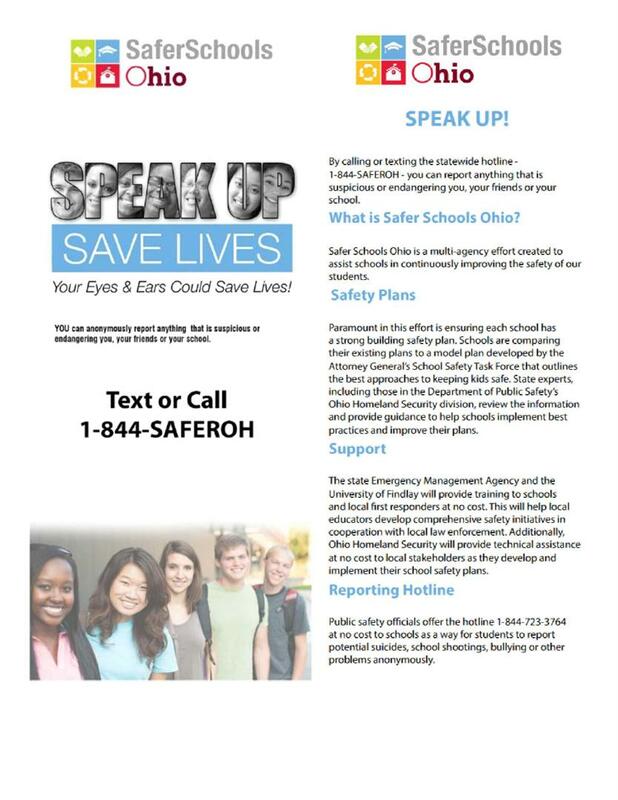 Text or call 844-SAFEROH to report potential suicides, school shootings, bullying or other problems. Your call is anonymous. You can report anything that is suspicious or endangering you, your friends or your school.